A recent photo from Clint Elliott, who was up in Montana last week. This entry was posted in Montana and tagged falls, Hiking, Hiking (2), Landscape, Nature, Outdoors, Photos, Pics, waterfalls, Wilderness, Yellowstone. Bookmark the permalink. There was still snow in May? I’m sure glad I went in August when I visited! 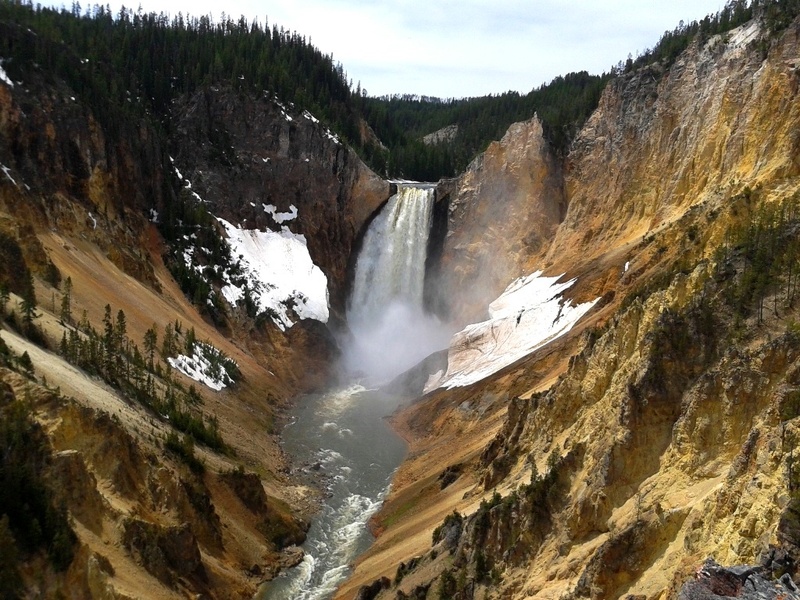 I swear, Yellowstone has got to be one of the most spectacular national parks on the planet. I’m constantly comparing places to it, and I’m constantly disappointed. Cool shot!